Rincon Trading (originally Rincon Mineral Company) was founded in 1983 in Tucson,Arizona. Our company’s main goal is to provide our customers with unique stones from around the world including the USA. 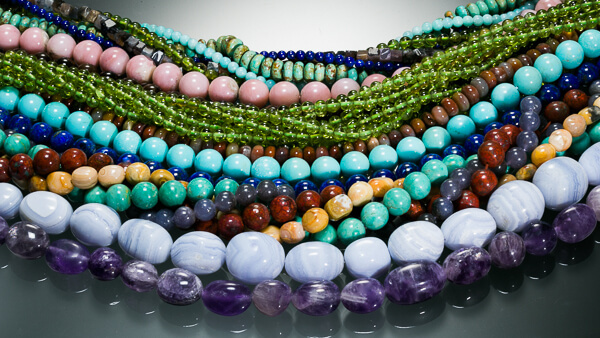 Whether you need stones in a specific shape for your strand of turquoise beads, or in a unique necklace we are dedicated to supply the stones you need .Over 30 years experience has allowed us to establish reliable sources with miners, bead and cabochon cutters, creative jewelry designers, and Peruvian carvers. Our team works diligently to bring our beautiful collection of beads, Cabochons, carvings and jewelry to you.